I am not kidding you when I say that these are some of the best cookies I have EVER EATEN. 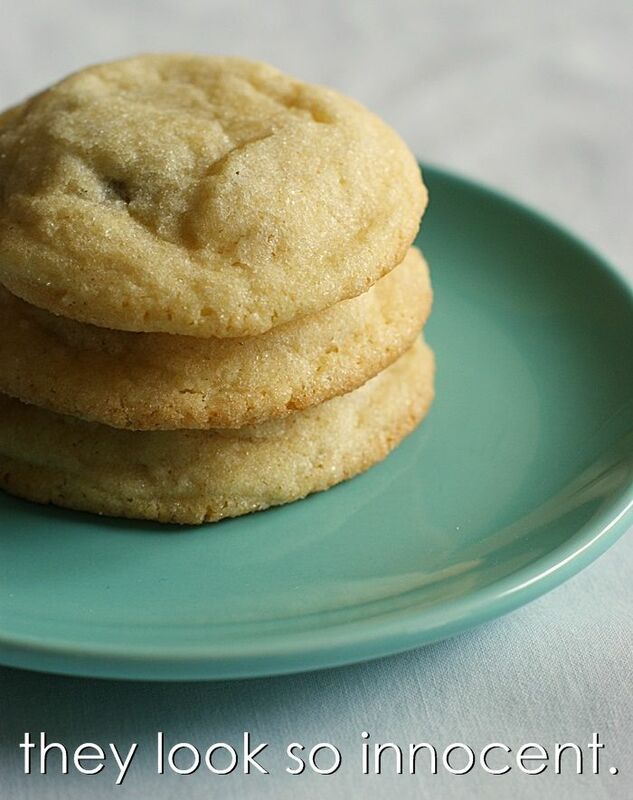 These are Nutella and Sea Salt Stuffed Sugar Cookies from my friend Dara over at Cookin' Canuck. 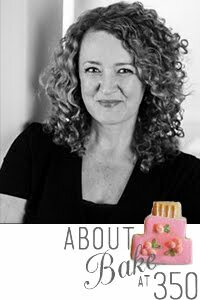 I had the pleasure of meeting Dara in December...which was really cool considering I've bookmarked pretty much every.single.one of her recipes. She's sweet as can be, totally adorable, and well, obviously a genius. 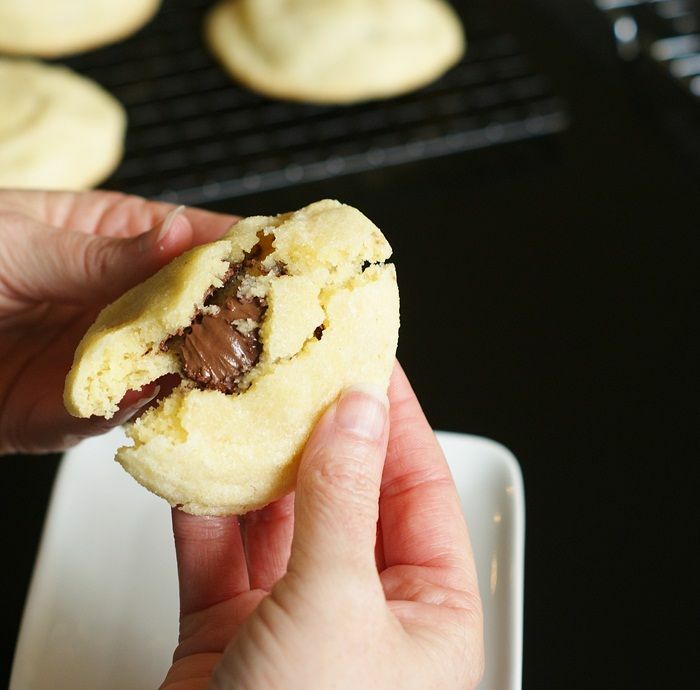 I mean, Nutella & sea salt stuffed IN a buttery, sugar cookie?!? Only a genius can come up with that. I'm going to send you over to Dara's for the recipe...because it's perfect...but I'll walk you through it. 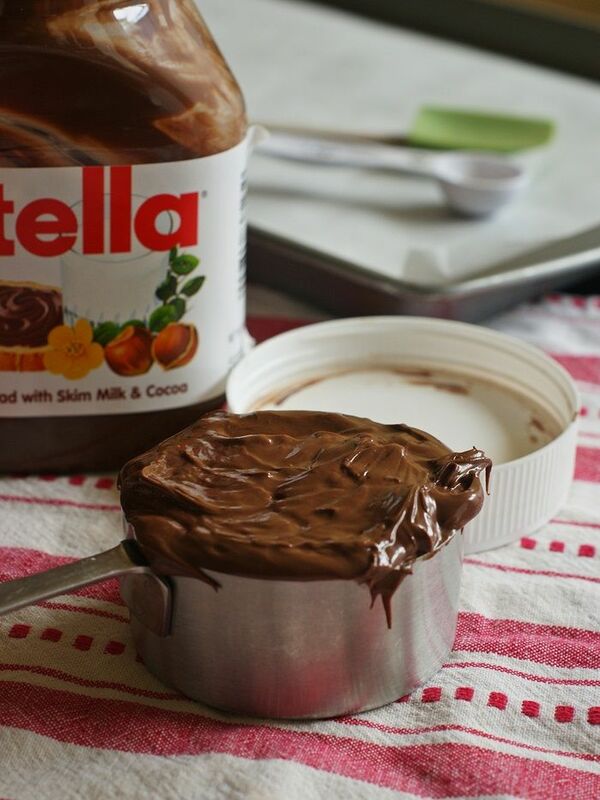 You'll need some Nutella. You'll measure out little bits of it and plop it in the freezer. 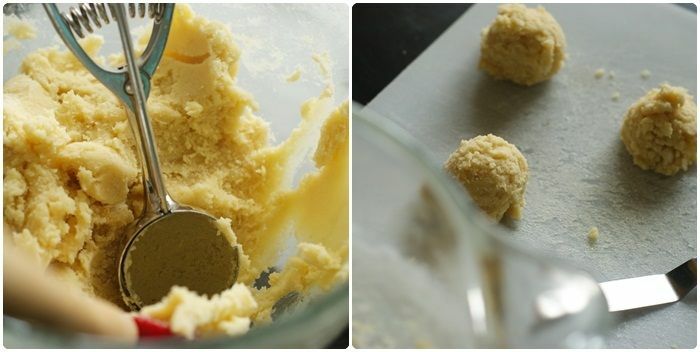 In the meantime, you'll make the cookie dough. 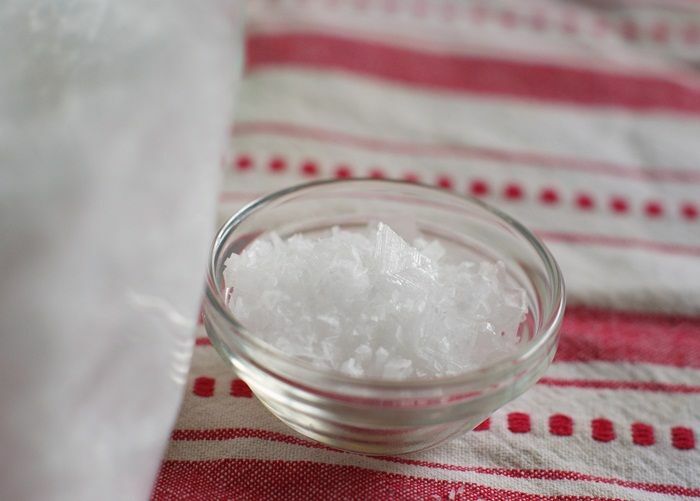 We used this flaky sea salt for our cookies. 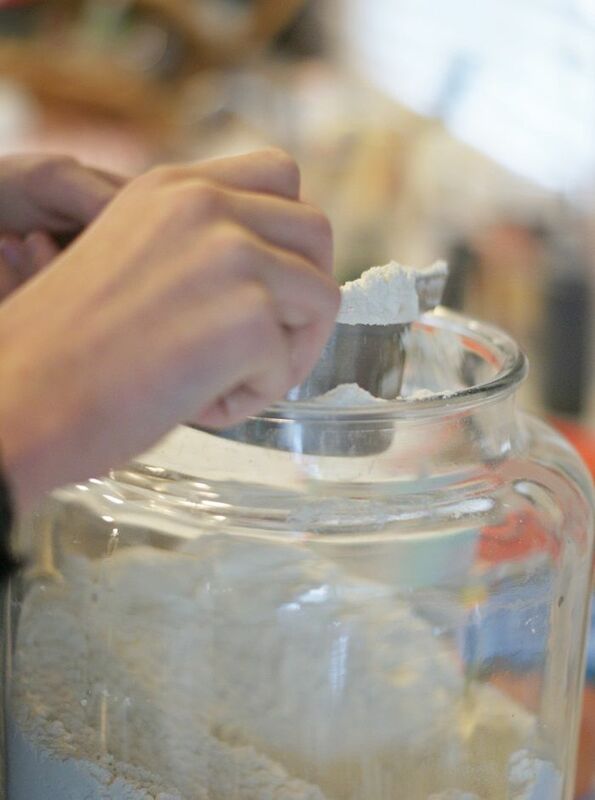 The flakes were REALLY big, so we cut down just a bit on the sea salt flakes called for in the recipe. Otherwise, we just followed Dara's perfect recipe. I found it easier to scoop a bunch at a time with my cookie scoop, then split them, while my helper added the Nutella and salt. ...eat one warm? Please? For me? Want the recipe? Let me answer that for you. You do. Thank you, Dara, for your evil genius cookie skills!!! Love. What a sweet boy! These look perfect. Sugar cookies are a good way to highlight the nutella since they don't take over the flavor! I have been drooling over these since I saw them on Dara's site, and now I really need them!! WHAT?! These look amazing! Oh boy... change of afternoon plans. Making these instead of doing actual work. Love this post! These look amazing!!! I had to come over and agree. I nearly knocked on your door in the middle of the night after I'd eaten the last cookie you brought over. I didn't know cookies could be so sweet and so salty. So Nutella-y. As you can see, these cookies caused a moment of deep reflection and spiritual enlightenment. Oh my - I'm speechless! The cookies look amazing and I'll go visit Dara right after this comment. YES! I made these (minus the seas salt) just before Christmas after finding them on Dara's site. They are A-mazing! My only complaint was that mine turned out too large. I was following the 2 tsp. dough size and only got 18 cookies out of the batch, plus there wasn't enough nutella in each bite for me. But overall, SO YUMMY, flaky & crispy & soft all at the same time. Now why doesn't my office have an oven, seriously?? Thank you so much for your sweet words, Bridget. You know I love you! I'm so glad you and your helper enjoyed the cookies. And hey, I'll take a nostril flare as a sign of approval any day of the week. Tell your sweet boy that he's a good sport! Oh my goodness- yum! 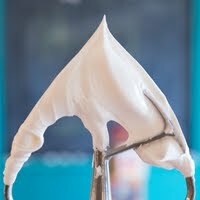 And love all the pics of your son baking- that nostril flare is too funny! Oh my goodness... I'm drooling! Love all the sweet pictures - the nostril flair the most! I've got to make this for my hubby who LOVES nutella. Thank you!!! 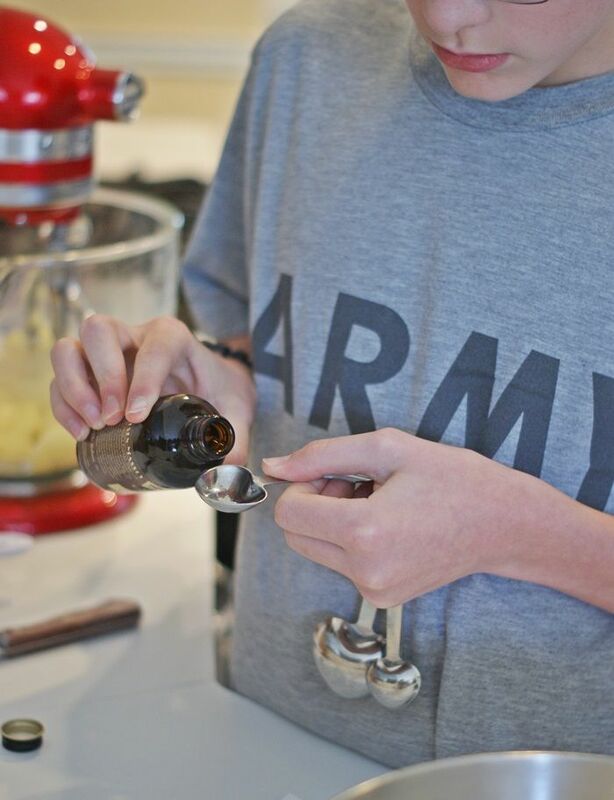 I'm not sure what I love most about all of this: the cooperative 12 year old boy (mine would seriously disown me if I tried photographing him for my blog), the nostril flare, or the recipe. I've had this recipe pinned for month, but after your ringing endorsement I'll have to make them tonight! These do look amazing. The mild sugar cookies would work perfect with the nutella and salt genius! great pictures too! Also the fact that these are some of the best cookies you've EVER eaten...that speaks huge volumes! Dara has such great recipes, as do you! You made me laugh ( flared nostril test) and want cookies all at once! Fantastic cookies! It looks like you had a great time baking with your son! I love the last picture! 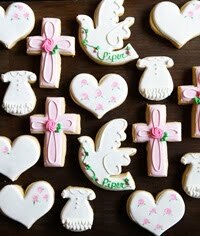 So sweet :) The cookies look amazing! 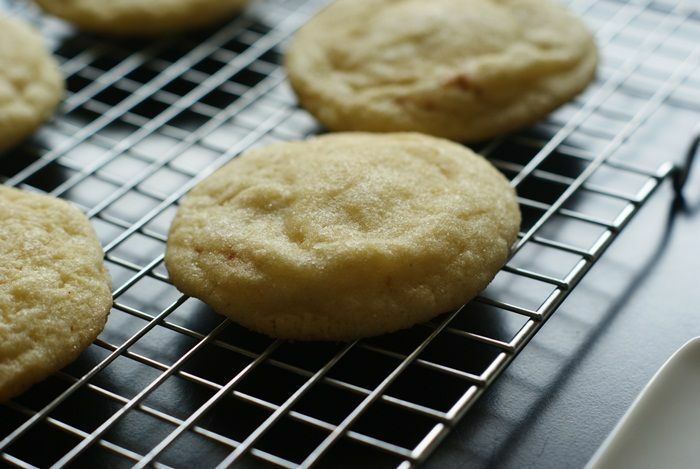 Non-complicated, delicious, and just the type of cookie I could eat about 5 of per sitting! These are the best! I have made then twice since Christmas! Love the pictures! Cute little kiddo! okay...now I'll go check out the recipe. oh my goodness! I can not stop thinking about these cookies!! I HAVE to make them! like today-like now!! So many things to say. Of course, these look absolutely amazingly delicious. Second, you've done something right with that little guy because not only does he help you in the kitchen, he'll actually let you take a picture of the nostril flare. Finally, that last picture is crazy to me. I've seen your little guy grow up through pictures on this blog and he looks more like a teenager in the last shot than a little boy. So scary! HAHA "nostril flare". I totally am with him! These cookies sound so yummy! I think I bookmarked them a while back and forgot about them! Silly me. MY nostrils are flaring just reading about these cookies! Can't wait to try! Love seeing how close you and your son are!! You are both so lucky to spend so much time in the kitchen together. He is so cute :) um. Handsome! Dara's recipes are amazing! These cookies OMG!! OMG these cookies are so cool! WOW they look really great!!! 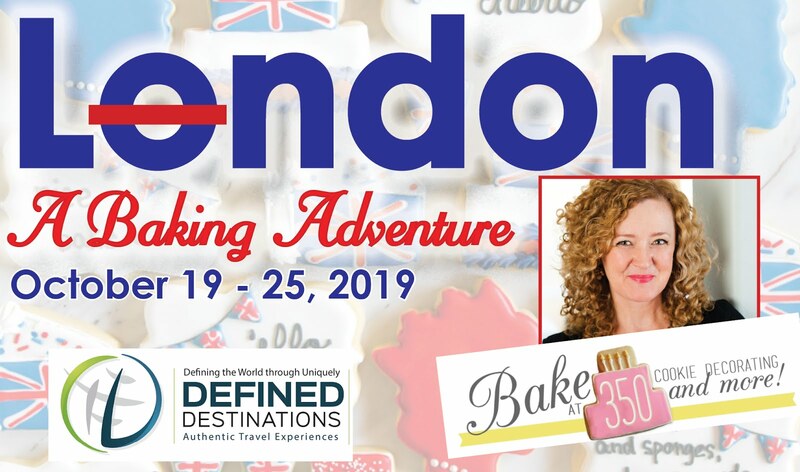 Thinck I have baking plans for the afternoon! 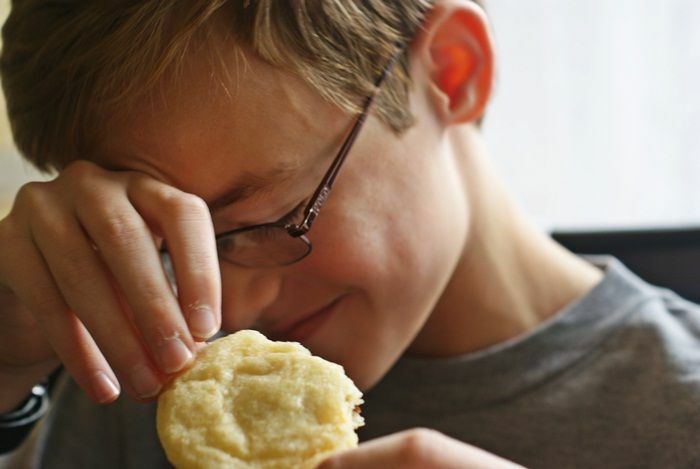 Good looking young man, reminds me of mine at that age.. And the cookies look fab, too! Definitely gotta try them! Thanks!! Oh my goodness! These just look amazing! I love Dara, and I love nutella too! 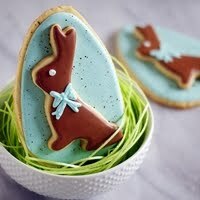 Will definitely be baking these up soon!! These. Look. Fabulous! 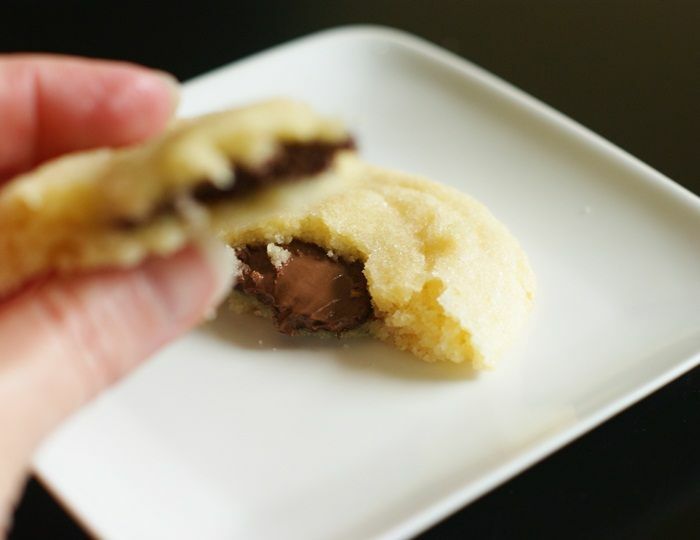 Sugar cookies and Nutella, two of my fave's all whipped up in one delicious, mouthwatering cookie. Love! lol lol lol..the nostril flare!!!! Too funny. I will be making these in the near dear future! What a great flavor combination! And what a cute young man helping you in the kitchen. 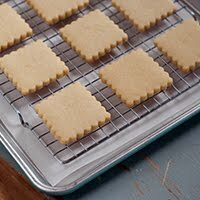 I tried the recipe and they spread thin and flat. What did I do wrong? I still ate them and they were delish! I figured it out! I used 1 3/4 cup of butter instead of 14 tbsp of butter...yes that is a lot of butter but it was still delicious! Haha! As always, those looks beautiful! And Kiddo is so handsome:) He's a good sport! Hi HO! Wow... 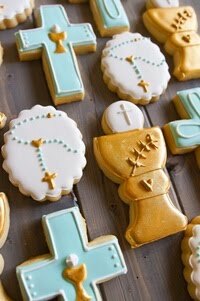 These cookies look absolutely amazing! Heading over to get the recipe right away! Your son is too cute. These look amazing. 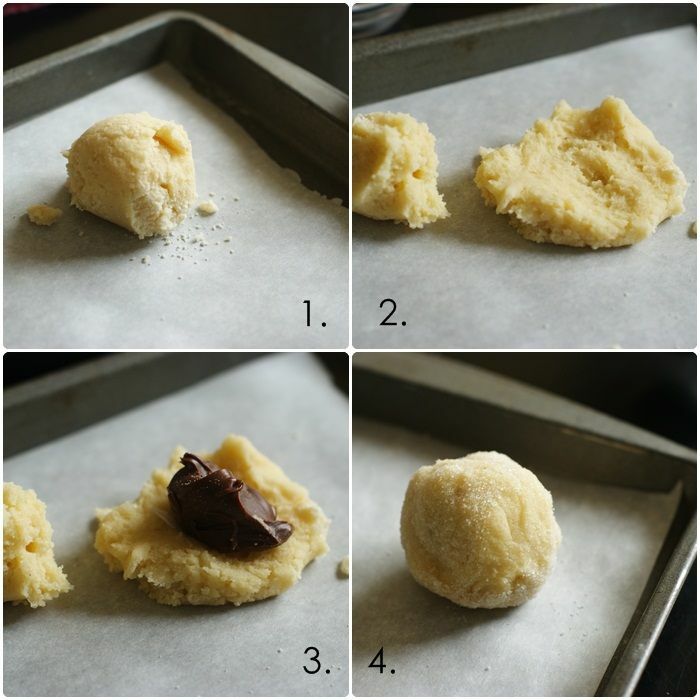 Anything stuffed with Nutella and sea salt would be, but that does look like a divine sugar cookie recipe. Can you BELIEVE I've never tasted Nutella!!! Even though I've never ever tasted Nutella I just KNOW these are a bite of HEAVEN! 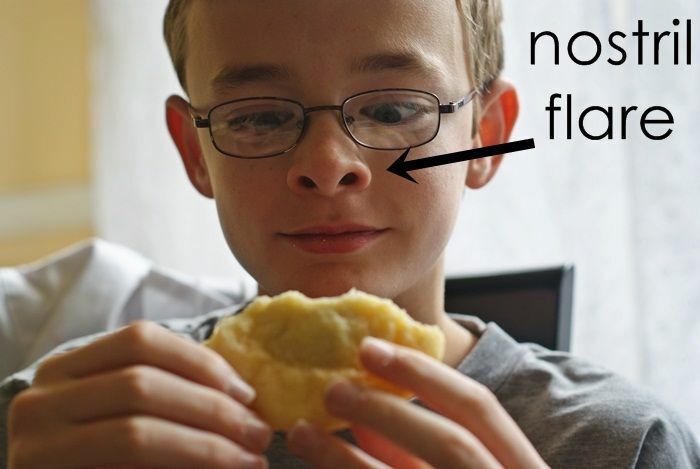 Kiddo's NOSTRIL FLARE convinced me. Love that flaky sea salt! Also LOVE that Kiddo helps you in the kitchen! Would love to make these! I made these over the weekend for my family who all LOVE Nutella. I was scared I would over salt but I was a little too conservative so next time I will use a bit more but they were still amazing. All of the kids were asking for more and my niece has already requested I send her a care package with these cookies. Thank you for sharing and it was helpful having your photo tutorial as well. OH these look fabulous!! 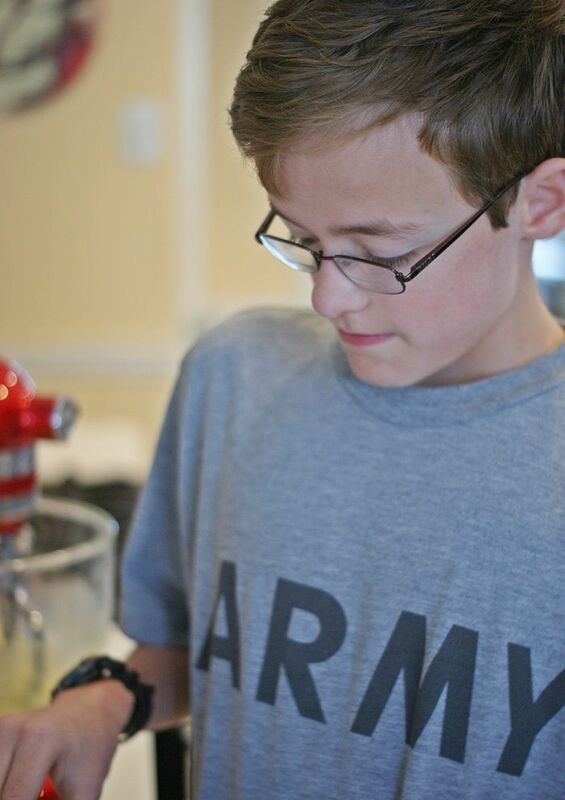 !.......I love seeing kiddo help you in the kitchen too!! I just adore these "stuffed"type cookies. I think its the little surprises in life that make everything so worthwhile, like chocolate in your cookie or like a sweet little helper! I totally made these, but mine didn't flatten out like yours! I have no idea what I did wrong... :[ taste amazing though! OMG... Those are awesome! Absolutely delicious! Sadly I had very poor results when I made these cookies today. They flattened out thinner than pancakes. 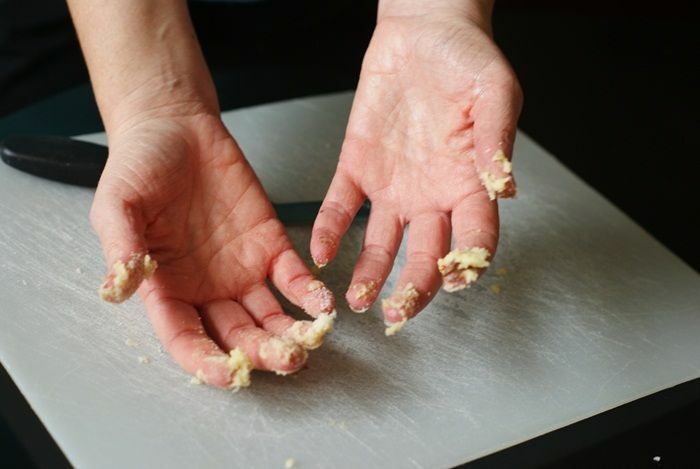 Did you do anything different to your recipe to prevent that? (Because based on your photos, it doesn't seem like you had the same problem.) I'm sure they will taste delicious, but I honestly would not make them again since all the freezing, stuffing, covering, rolling in sugar, etc. is quite labor intensive for a such an unattractive finished cookie. But if you've got a trick to share, I might give it another go! These innocent cookies are just the right pick for kids who obey Mom and help her out. 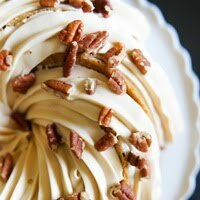 I am honestly mouth-watering for these goodies! I only saw Nutella as bread spreads while growing up but with this recipe I can make something else that’s far better than my boring sandwiches. Thanks for posting. :-( My dough did not turn out right!! it was too soft! Dont know what happend! I had round cookies with good taste. But I dont think I did it well!